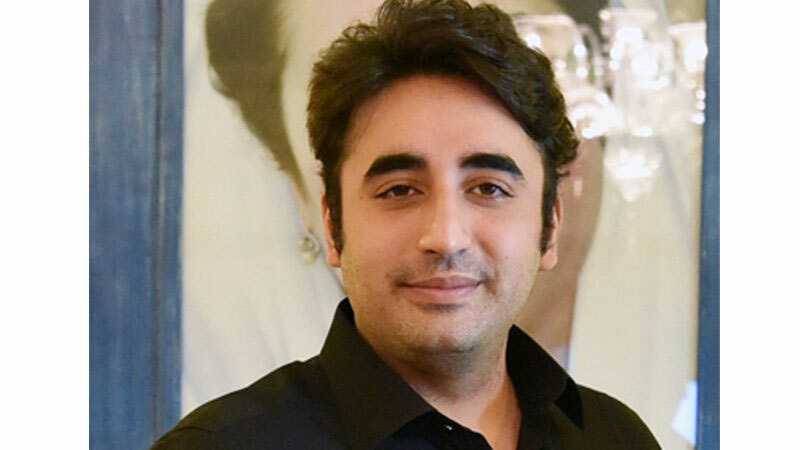 Pakistan People’s Party (PPP) Chairman Bilawal Bhutto Zardari has filed a review petition in Supreme Court praying the apex court to review/recall/modify its order dated Jan 7 order and for direct deletion of his name from the JIT report as well as from any other investigation being conducted by FIA, NAB or any other authority. According to a press release issued by the PPP on Monday, the petition was filed by Advocate Khalid Jawed Khan through Advocate on Record Qasim Mirjat under Article 188 of the constitution. The petition says that the applicant was neither issued any notice or summon nor provided any opportunity of hearing before January 7 order was passed by the Supreme Court, whereby certain observations were made and directions issued while omitting to record the specific verbal directions given by the court during proceedings to expunge the name of the petitioner from the JIT report. “These directions were passed in the presence of the parties, their learned advocates, government functionaries, officers of NAB, FIA and members of JIT, the learned attorney general, the learned advocate general Sindh, the learned law officers, media and public at large and widely reported by the media without any subsequent rebuttal or clarification from any quarter till date but completely ignored and not given effect to by JIT, NAB, the government and even by SC in its own detailed order passed and released subsequently,” the petition read. “The absence of direction for expunging the name of the petitioner from JIT report as given by this honorable court during hearing on 7.1.19 from the detailed order dated 7.1.19 was due to clerical error which needs rectifying. The JIT report released by honorable court in paragraph 35 of the order has conceded that the material against the applicant may need examination to arrive at the correct conclusion. The applicant name was wrongfully included on the ECL and he is not subjected to further probe, enquiry, and investigation by NAB, JIT, or any other body in respect of the allegations made in the JIT report,” the petition read. “What are the limits, scope and contours of exercise of suo moto powers by the honorable court in exercise of original powers conferred under Article 184 (3) of the constitution and mandated to be exercised with reference to the enforcement of fundamental rights could also be exercised in respect of individual cases, matters, disputes, enquiries, investigations, prosecutions, disqualification etc. having direct adverse, penal and irreversible consequences for the individuals without any possibility of appeal,” it read. “Whether the formation of JIT in the present case and its composition including officers from Inter-Services Intelligence (ISI) and other members recommended by DG FIA against whom the applicant had serious reservations, in respect of a probe or enquiry, primarily relating to banking transactions, which by law i.e. the FIA Act, 1974, is exclusively vested in the officers of FIA, in accordance with law?” it asked. “Whether the persons aggrieved including the applicant were not entitled to be provided opportunity of hearing on the basis of the principle of natural justice before any order was passed by this court vis-a-vis the constitution, formation and composition of the JIT as well as the scope and limits of the powers and jurisdiction conferred on the JIT, the excesses made by the JIT during its probe and investigations as well as the excesses committed in the report and subsequent condonation of same by this court as reflected in Paragraph 37(iv) of the Order?” it continued. “And Whether the Order dated 7.1.19 passed by this court and various directions given in the order, impinge upon and have resulted in dilution of the fundamental rights of the applicant guaranteed under Articles 4 and 10A of the constitution of Pakistan?” it added. “Whether the directions given by this court in paragraphs 37(v) and (vi) of the order that the probe, enquiry, investigation and trial shall be conducted at Islamabad/Rawalpindi (as against Karachi, as would have otherwise happened but for the said directions), consistent with the provisions of the National Accountability Ordinance, 1999, and the principles relating to territorial jurisdiction in such cases, and not warrant reconsideration of the order, keeping in view the mandate of Articles 4 and 10A of the constitution?” the petition read. “That this court was pleased to take suo motu notice under Article 184(3) of the constitution in the matter relating to progress of pending enquiries relating to alleged fake bank accounts. This court heard the matter on a number of dates and finally vide order dated 5.9.18 this court was pleased to constitute a JIT including officer from ISI in terms as stated in that order. For the record it may be submitted that the applicant never received any notice or summon for hearing from this court. The applicant, however, subsequently received a questionnaire from the JIT. It is respectfully submitted that though the applicant had serious reservations and wanted to raise various constitutional and legal objections about these proceedings and the probe by JIT before this court, without prejudice to his rights to raise the same before this court as and when warranted, and despite the fact that the applicant was neither involved nor concerned with any alleged fake bank account or any other illegal act, nevertheless replied to questionnaire, solely in deference to the order passed by this court,” the petition read. “That although the directions were given in open court in the presence of the and attorney general of Pakistan and the counsel for JIT as well as the DG, FIA, the name of the applicant was neither deleted from JIT report nor from the ECL (which was belatedly removed later on),” the petition continued. “That eventually when the order was subsequently issued, the direction for expunging the name of the applicant from the JIT report was also not part of the order. Instead paragraphs 35 and 37 of the order contained observations and directions, not in consonance with but rather contradictory to the verbal directions given in open court and the commitment made on behalf of the JIT in the court, for expunging the name of the applicant from JIT report. Instead the Applicant has been subjected to adverse consequences including further unwarranted probe, enquiry, investigation etc. by NAB, JIT. It is most respectfully submitted that the applicant is seriously aggrieved and prejudiced by these directions adversely affecting his fundamental rights and that too without providing any opportunity of hearing by this court,” it added. “That it is submitted with profound humility that the settled and centuries old principle of law as enshrined in articles 4 and 13 of the constitution is that no one is to be subjected to any criminal probe, enquiry, investigation or proceedings unless there exists sufficient material connecting him to the commission of a cognizable offence. It is submitted that in the case of the applicant the principle has been reversed and the applicant is to be subjected to probe first with the objective of finding out that whether there is sufficient material available to connect him to any cognizable offence,” the petition maintained. “That it is submitted that the applicant who has never held any public office save as elected member of the National Assembly and that too with effect from August 2018, is to be subjected to a highly pervasive, damaging and widely publicized criminal probe, enquiry, investigation etc. by NAB in order to discover or extract some material that may possibly link him to a cognizable offence,” it added. “While verbal orders passed by different executive authorities including the prime minister, the chief ministers, ministers, etc, are required to and are actually given effect every day by the government functionaries at all tiers in accordance with the rules of business, the verbal directions given by the Chief Justice of Pakistan, in the most solemn judicial proceedings conducted by the highest court of the country in open court in the presence of all the parties, their advocates, law officers, media and public at large on 7.1.19 are completely ignored and not given effect to by the JIT, NAB and the government,” the petition argued. “Despite clear and categorical directions to the contrary by this court to maintain and observe the solemnity of the proceedings, someone from within the JIT deliberately leaked parts of the contents of the JIT report to the media portraying a highly damaging picture and the matter was openly discussed in the media causing serious damage to the names, reputation and rights of various person. All this happened even before the JIT report was formally submitted before this court,” it continued. “This demonstrates lack of neutrality and impartiality within the JIT. It shows the bias that pervaded this probe and the resultant report submitted to this court by the JIT. Needless to add that the voluntary and admitted excesses made by the JIT in the report further strengthen the submission made by the applicant. It is humbly submitted that this alone is a sufficient ground to reject and discard the vitiated JIT report in its entirety,” it added. “That the setting up of implementation bench for execution and implementation of the orders of this court and that too in the context of criminal proceedings would inevitably and unavoidably prejudice the probe, inquiry, prosecution, trial etc being conducted pursuant to the order passed by the highest court of the country. It is therefore, humbly prayed that this court may be pleased to recall the direction for setting up of the implementation bench in this case,” the petition pleaded. “It was submitted that in view of the foregoing important questions of law requiring a detailed hearing and having impact on the exercise of jurisdiction under Article 184(3) of the Constitution of Pakistan and other issues of public importance, this court may be pleased to order constitution of a larger bench to hear this review petition. The applicant seeks leave of this court to raise further grounds at the time of oral hearing,” it concluded.